Dr Jay Johnston (B.A., M.Art Admin., M.Litt(Dist), M.A.Hons, PhD) is an interdisciplinary researcher who utilises her training in religious studies, continental philosophy, gender studies, and art history to investigate theories of the intermediary, or ‘in between’, and its role in religious belief and practice. In particular she rethinks theories of embodiment, agency, image and materiality and their use in the construction of individual identity, religious belief and the negotiation of cultural difference. Current projects include investigating the proposition of ‘prehistoric religion’ and the interpretation of artefacts, images and texts of ritual power. Specific areas of interest include cultural exchange in Late Antiquity and Scottish and Norse cultures pre1400. Previous research has focused on energetic concepts of embodiment (subtle bodies), forms of intermediary subjectivity and diverse spiritual epistemologies. Dr Johnston has also undertaken curatorial and research projects that explore religious aesthetics including viewer experience, the cultivation of perception and the interrelation of aesthetics and ethics. Stag and Stone: Religion, Archaeology and Esoteric Aesthetics is a timely and innovative evaluation of the interdisciplinary dialogue between religious studies and archaeology. Investigating the core concepts of materiality, perception, ritual and agency the volume redefines conceptual categories and argues for the need of ‘critical bewilderment’ as a unique scholarly practice. The pioneering intersubjective methodology brings together recent developments in religious aesthetics, theoretical archaeology and cultural studies. Taking as its focus ‘troublesome’ objects and places — those deemed ambiguous in purpose and meaning — the individual case studies contribute new knowledge to a range of areas including the archaeology of shamanism, contemporary art and early medieval Norse and Insular material culture. 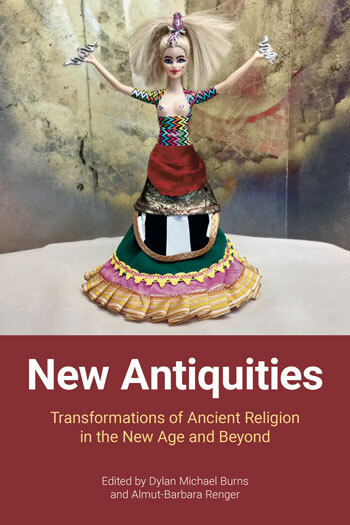 Taking objects of ambiguous purpose and meaning as its focus (especially carved balls from the Neolithic period and ‘magical’ stones from Gaelic traditions) this chapter investigates the conceptual and discursive interrelations between religious studies and archaeology, with a focus on contemporary scholarship. The analysis evidences a lack of critical engagement with shared terminology and unacknowledged interdisciplinary influence while also highlighting the productive value for both disciplines in considering ‘troublesome’ objects (which elide concrete identity of purpose and use). This chapter addresses the different modes of epistemology presupposed by recent critical theory and esoteric traditions of materiality. It delineates the author’s proposition of ‘esoteric aesthetics’ and explains the relevance and innovation of this approach for interpreting material culture. The chapter explores the contested practice of identifying specific images from prehistory and early historic periods as evidence of shamanic practice and belief. In particular it examines picture stones created by the Picts (Scotland) and the Norse (Gotland). Building on the concepts developed in the previous section the issue of materiality and agency is central to the new analysis proposed. Developing the analysis of ‘shamanism’ and material culture and extending the analysis of ‘troublesome’ objects, this chapter presents an interpretation of narratives (written and visual) that feature transpecies beings. These figures challenge ontological, epistemological and conceptual boundaries. The scholarly productivity of such ‘messy’ figures is identified and then exemplified as the foundation for a methodology of enquiry. Providing a further case study of the overt and covert influence of religious belief on archaeological (and philological) practice, this chapter is a discourse analysis of the antiquarian interpretations of the runic inscriptions of Maes Howe (Orkney). In particular it exemplifies the interrelationship of the subject areas as the different disciplinary identities emerged in the nineteenth century and identifies the enduring contemporary legacy of these early studies. Evaluates the turn towards shamanic and archaeological themes in recent contemporary art, critically analysing the engagement with the disciplines of archaeology and religion. Specifically considers what these practices offer both disciplines by way of critique of their normative concept formations while also highlighting the productive potential for increased intersubjective dialogue and practice. 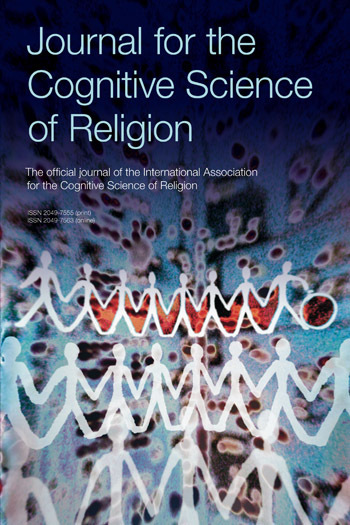 This chapter explores how the concepts of matter and perception developed in the preceding chapters (via case studies examining the intersection of religious studies and archaeology) can be applied to re-think modes of engagement with broader environments and the ramifications (individual and collective) of such a shift in perspective. It includes a discussion of several ‘ritual’ landscapes and their interpretation in relation to recent ecological theory. The conclusion summarises the ‘esoteric aesthetics’ approach developed throughout the volume and discusses its ramifications for broader scholarly practice. It reiterates the relations between the concepts developed in preceding chapters and delineates the approach as a scholarly form of ‘bewilderment,’ outlining its potential application for other disciplines/studies.